Timothy C. Mullin, CLTP is one of the founding members of Counselors Title LLC. Tim currently serves as the company’s Managing Member. Tim has an extensive background in Real Estate. While attending the University of Maryland in College Park, Tim earned his Maryland Real Estate license. In 1992, after a successful stint as a Realtor, Property Manager and New Homes consultant, Tim joined the Rockville office of Universal Title. During his tenure at Universal, Tim worked with a variety of clients including Realtors, Lenders and some of the Washington area’s most distinguished Home Builders. In the fall of 2000, Tim and several colleagues at Universal purchased the company from a large national title insurance underwriter. The subsequent growth of the company to 19 offices offered Tim the opportunity to become a Regional Vice President overseeing the company’s largest and most profitable region. In the fall of 2005, Tim and his partners sold Universal to another of the largest title underwriters in the nation and soon thereafter the name was changed to Universal Settlements. 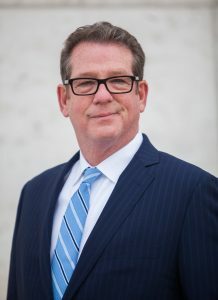 Tim remained a Regional Vice President at Universal Settlements until September of 2007. Tim is one of the few licensed title agents in Maryland to receive the industry designation of Certified Land Title Professional. He currently serves on the Board of the Don Bosco Cristo Rey School, The Shepherd Foundation, and Blessed Sacrament school. He is a Past President of the Catholic Business Network and coaches Special Olympic basketball and soccer. Tim lives in Chevy Chase, Maryland with his wife and four children.